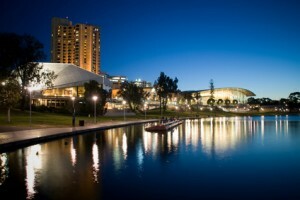 Adelaide has been voted one of the world’s top ten cities according to the latest Lonely Planet Best in Travel Awards. Adelaide ranked alongside other exciting cities such as Paris, Shanghai, Vancouver, Chicago and Auckland among others as top places to visit during this year. Adelaide was listed as number 9 on the list. Adelaide Festival – held in Feb / March every year, this festival showcases music, dance, theatre, film and literature, a fantastic art event for both locals and tourists. Adelaide Fringe Festival – the largest Arts festival in the Southern Hemisphere, further info can be found here: www.adelaidefringe.com.au. This festival is usually held in March, leading to some people to refer to this month as ‘Mad March’ due to the number of festivals! WOMADelaide – this world music and dance festival is popular with all ages, also usually held in March and attracts visitors from all over the world. It is held in Botanic Park, Adelaide – a beautiful green area with many exotic plants. In total Adelaide has ten major festivals a year, part of the Festivals Adelaide programme. Other festivals include an International Guitar Festival and a Salsa festival among others. Check out www.festivalsadelaide.com for a guide to what’s on in 2014. 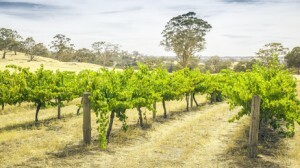 Further afield, the Adelaide Hills and Barossa Valley allow visitors and local residents premier access to wine country. The Barossa Valley is one of the oldest wine regions in Australia and the distinctive vineyards make for interesting scenery, definitely a great view to sip your glass of Shiraz! Here you can grab a glass of Penfolds Grange as well as do a historic tour of the winery producing Australia’s most famous wine. In addition, don’t forget Port Adelaide, an increasingly busy port with a historic legacy as it was one of the earliest settlements in Australia. Colonial buildings here and dockyards present the areas seafaring history and are definitely worth a visit. It’s not surprising to see why Adelaide has been voted in this list, a great city with lots to offer all age groups and interests. If you are moving there, don’t be surprised if you get many visitors coming to stay wanting to explore this exciting city!